The strongest and most supportive off-the-shelf option for contact sports with added ACL support via the FourcePoint Hinge. The FourcePoint Hinge enables you to set the flexion angles (25˚, 35˚ (factory setting), 45˚, 55˚, or 65˚) based on your condition or point of recovery. This puts you in control where the degree of tension stops. Thank you for contacting product support. I do not believe he would be able to wrestle with the Armor knee brace on. 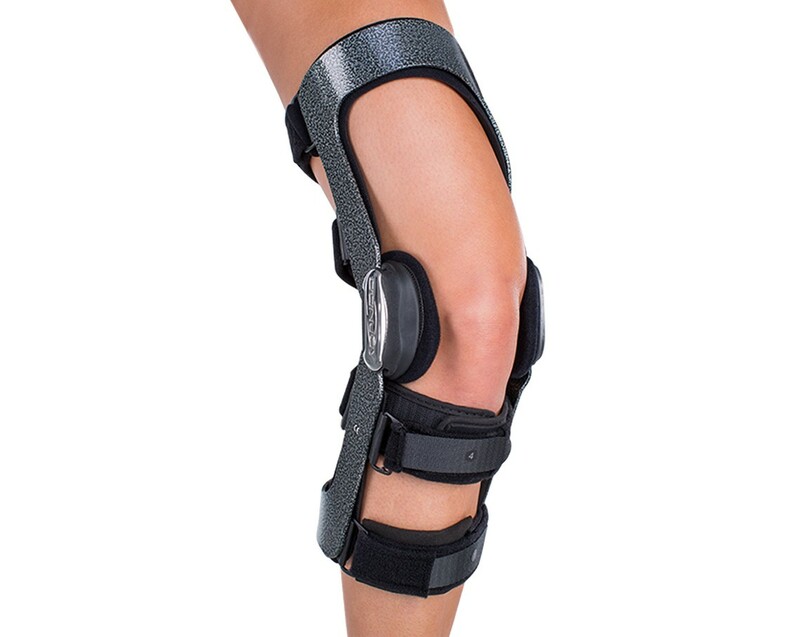 It is a rigid knee brace made of Aluminum and either would have to padded or would be banned from wearing it at all during competition. I would check with his coaches and see what is permissable to wear during competition. Most likely he would not be able to wear anything that an opponent could grab onto. If he could wear a soft hinged knee brace, I would suggest the Playmaker available here: https://www.betterbraces.co.uk/donjoy-playmaker-ii-knee-brace-1, but this might not even be allowed. 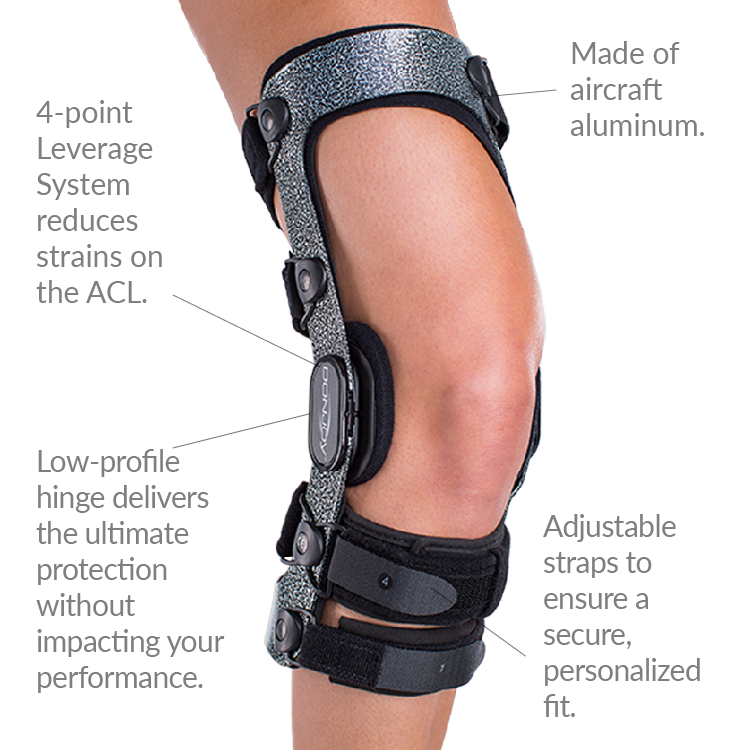 If contact sports are not a concern, a DonJoy Legend SE-4 Knee Brace (https://www.betterbraces.co.uk/donjoy-legend-se-4-knee-brace-41) may be preferable to an Armor as the armor is typically used for athlete level protection..